When the final afternoon bell rang in Evanston Township High School at 3:35, a rush of teenagers and their cacophony of end-of-day chatter flooded the hallways. The open space adjacent to the school’s various athletic facilities clogged with kids heading to practices; in the locker rooms, they traded Timberland boots and jeans for workout clothes in the high school’s signature navy and orange. Members of the Wildkits boys basketball team loped into Beardsley Gym a few minutes before 4 p.m., and stretched and jumped rope until Coach Mike Ellis called them together. The jewel of Ellis’ squad is first recognizable by the “20” emblazoned on the back of his practice jersey. During a break in running drills, positioned well behind the half-court line, Nojel Eastern scrunched his six-and-a-half-feet of lean basketball body like a coiled spring and released, sending the ball in a graceful arc to swish through the net. Eastern punched the air in celebration before looking around at his teammates to see who had noticed, but during the lull most had scattered to drink water and chat or practice their own shooting. Lisa Nelson loves Chicago, and she loves football. So when the NFL Draft came to the city starting in 2015, the La Grange resident and lifelong Green Bay Packers fan was thrilled. Nelson and her family have enjoyed attending Draft Town with her family to meet former and current players, spend time around other football fans, and watch the final rounds these last two years. She can’t understand why the NFL will probably move the event in 2017, saying Chicago has done so well as host. The much-hyped first round of the NFL draft may have ended the night before, but football fans still gathered in droves at Draft Town in Grant Park on Friday for their fill of mock combine drills, player autographs, and Chicago cuisine. Surprisingly, the Windsor Ice Cream Shoppe saw plenty of business despite the persistent chill. Louella Gruezo, a friend of the booth’s owner, said the stand’s funnel cake sundae was a popular pick. “You get the [warmth] of the funnel cake, and then you get the ice cream to offset it,” she said. Temperatures hovered in the 40s and a gray blanket of clouds hid the sun. But the less-than ideal April weather didn’t deter football fans from congregating in Grant Park on Thursday to kick off the first day of the NFL Draft at Draft Town. 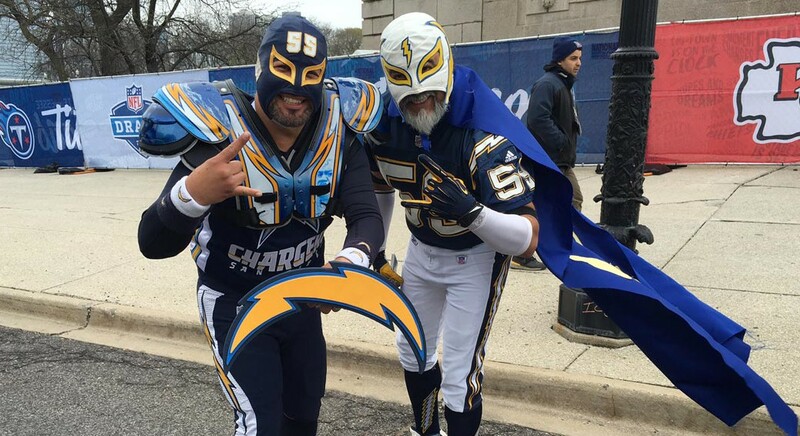 The open-air festival, dubbed “NFL Disneyland,”attracted fans representing every team in the league. They participated in mock combine drills, sampled food from an array of Chicago restaurants and rode a 120-foot Ferris wheel. “Chi-Town is on the clock,” reads the cobalt-blue-and-white signs bearing the NFL’s shield. They are affixed to light poles throughout downtown Chicago advertising the return of the league’s draft Thursday, when 32 teams are normally the ones fighting time — and each other. For the second year in a row, the event will overtake Roosevelt University’s Auditorium Theatre for two days and turn Grant Park into Draft Town for a three-day fan festival, a concept introduced last year. But now, Chicago’s time on the clock might be running out. Trying not to cry, Nojel Eastern contorted his face after he missed his second-to-last free throw. With the top-seeded Evanston Wildkits trailing the fourth-seeded Notre Dame Dons by nine points late in the final quarter, the junior point guard knew his team wouldn’t go to the state championship. The Wildkits fell in the sectional semifinal Tuesday, ending their season with a 68-56 upset loss. Evanston was hoping to duplicate its first matchup against Notre Dame: 71-64 victory. Instead, they finished 22-6, while the Dons (24-6) will play in the sectional final Friday. The Evanston boys basketball team used the three numbers as its battle cry through strenuous conditioning sessions this past offseason, and the Wildkits put 3-19-16 in group text messages and chanted the sequence after practices and games. March 19, 2016 is the date of this year’s state championship. “We have that one common goal in mind. … We all know that date is what we’re going for,” said senior Charlie Maxwell. The Wildkits shortened their road to the championship by one more game with a 56-29 regional semifinal win over the Glenbrook South Titans Tuesday night. The victory earned the Wildkits (22-5) a trip to the regional final Friday while the Titans ended their season at 12-16. Twice in the past decade, Mike Ellis coached teams at Richwoods High School in Peoria to within three points of winning state championships. 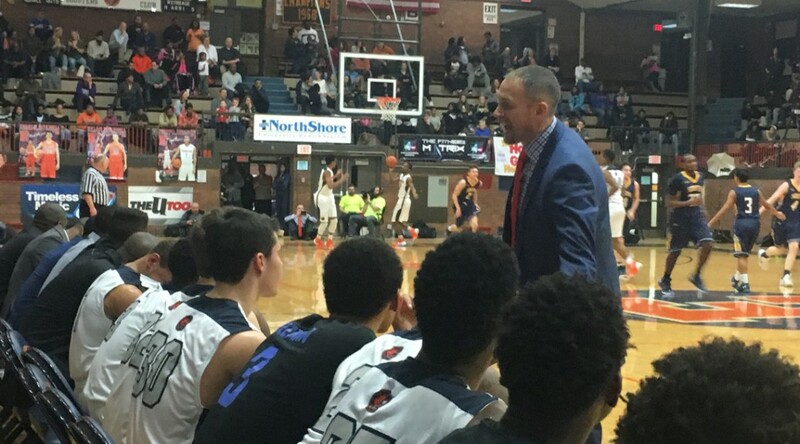 Now he’s four games away from the title with the Evanston Wildkits. But he’s not asking his players to bring home the trophy for his sake. After more than 20 years coaching high school basketball – including 14 at Richwoods and the last six at Evanston – Ellis has come to focus more on mentoring his players than on cutting down the nets. After a signal from coach Mike Ellis, Jaheim Holden hopped from the bench with a grin, shed his warmup T-shirt, and knelt on the sideline, poised to run onto the court. His teammates Lance Jones and Ryan Bost joined him, and for four minutes and 21 seconds of play, the three freshmen dominated the court. Fueled by a pass from Bost, Holden drove easily past the overwhelmed St. Ignatius defenders for a layup. The Wildkits on the bench exploded with cheers for the 5-foot-7 guard and began chanting gleefully. Tiffany Rice cherishes the smallest details about her son, Dajae Coleman. She remembers how his impressions of Stewie Griffin from “Family Guy” would bring her to laughter no matter her mood. The Evanston Wildkits celebrated those memories on Friday night in a ceremony honoring the team’s seniors before the final home game of the season, played against the Glenbrook South Titans. 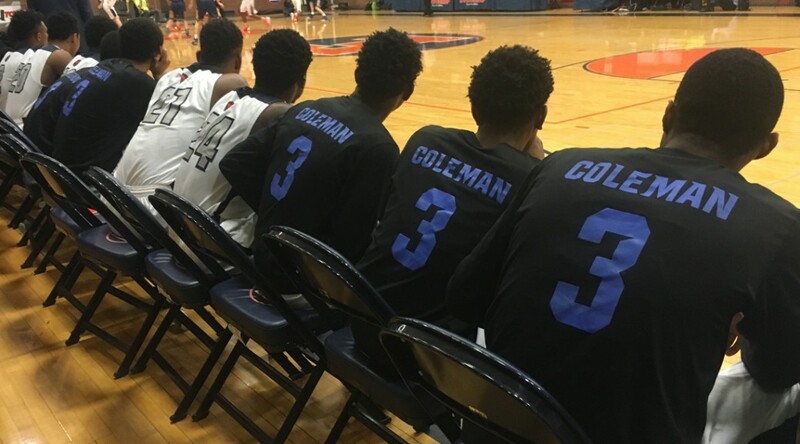 The Wildkits’ 73-38 win made Trevon Marshall, who is Coleman’s cousin, Dylan Mulvihill, Charlie Maxwell, and Micquel Roseman’s last home game a memorable one.